Without question, much of the appeal from yet another remake of A Star is Born (although director and co-writer Bradley Cooper has stated that the movie was conceptualized as its own intellectual property) comes from worldwide singer and songwriter sensation Lady Gaga applying her heavenly voice to a different craft, one that also demands her to act and present herself as a regular everyday woman that is musically gifted. Even though she has impressed with supporting turns in works such as American Horror Story and Sin City: A Dame to Kill For, rest assured, she goes above and beyond the rainbow in terms of exceeding expectations here, but, and not to take anything away from Bradley Cooper’s performance (once again fitted with a southern accent, this time as fictional famous rock star Jackson Maine saddled with the usual vices that come with attaining superstardom), the film also depicts an actor that must step into her world effectively enough as to not diminish the believability of the experience, and one prepared to sink or swim making his filmmaking debut. Simply put, both talented individuals have put in the work to prop themselves up in each other’s area of expertise; Lady Gaga has to be a lock for multiple Oscar nominations, not just for her ethereal and moving musical performances, but also for some of the film’s more heated scenes showcasing a loving marriage breaking down just as much as moments where she must shed real-life fame to behave highly cynical regarding the levels of what she can accomplish in the face of male-oriented management and record labels shutting the door on her. Right about now you’re probably wondering why any executive would do that (her character’s voice is just as outstanding), so get this, Lady Gaga’s nose is apparently “too big”. Sadly, this is not an exaggerated scenario as there are horror stories of Hollywood higher-ups telling gorgeous women such as Jennifer Lawrence that she’s fat and needs to go on a diet. 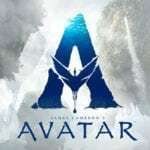 Call them blind or just people with absurdly unrealistic standards, they are idiots either way, but most importantly, it’s one of many elements that help this remake feel as if it brings new perspectives to the table. Furthermore, it’s also just a logical direction to take a modern-day retelling that is just as much a story about a man doing everything in his power to help birth this eponymous star. In a fair and just world, Ally (Lady Gaga) wouldn’t need a pop-culture icon to slowly break her out of a negative headspace regarding making something of herself musically, at one point putting her on the spot to sing at one of his own concerts; it’s a segment that is 100% mesmerizing. In that regard, there really is a fair and balanced list of supportive male characters and those that are only concerned with living up to a fantasy or mainstream appeal, the latter of which also crops up as Ally’s manager (following Interscope Records signing her in lieu of mass exposure) tries, and in some ways is successful, to strip her identity of intimate personality in favor of ravishing costumes, numerous cosmetic changes, and pop-style dancing incorporated into the routine. Still, talent will out, and there’s no stopping Lady Gaga in real life or fiction. As affecting as the acting is, Bradley Cooper also had the privilege of utilizing actual concerts for all of the performances. 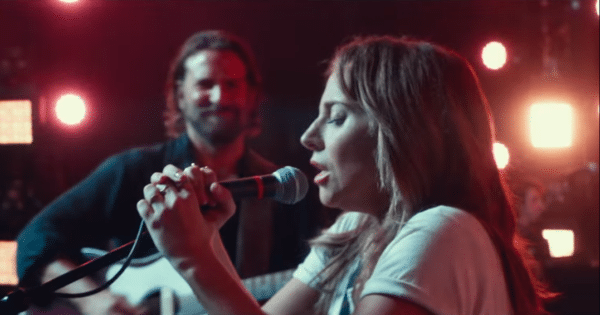 Whether it’s a drag bar Ally performs at some nights (a nice inclusion considering Lady Gaga’s background) or noteworthy locations such as Coachella, the pair were given time to belt out these tunes live for the sake of the movie. Such a setting only further amplifies how outstanding Lady Gaga is in A Star is Born; she’s in her most familiar element and throwing her all into these catchy but accessibly personal lyrics. Not only do we feel part of the audience, but with a character-driven script from Bradley Cooper and co-writers Eric Roth and Will Fetters, we feel the emotion and are in awe at the authenticity of the concerts right down to Jumbotron’s visible in the background capturing all the sweat pouring down the pores of their faces. Stylistically, Bradley Cooper is also a fan of the long-take which only adds to all of the above, but perhaps most crucial to the live performances is the perfect sound mixing that ideally should be experienced in Dolby Digital. Admittedly, the overall proceedings do come across as a narrative we have, in this case quite literally to an extent, seen play out before and as such can predict where certain plot points are going. The script also could have leaned further into fame and record labels altering a star. However, none of that changes how immersive A Star is Born functions, as we enjoy spending time with these people, cheering on Ally’s rise to fame and pushing for Jackson to subdue his alcohol and drug demons. Sam Elliott also deserves mention as Jackson’s older brother Bobby; family dynamics are explored (and wisely done so at that, never feeling as if the movie is veering away from the relationship between the couple) with Sam being put in challenging situations that he handles with grace and sternness. Even smaller roles such as ones from Dave Chapelle don’t feel out of place one bit and do their part in being both entertaining and revealing more layers to these characters. 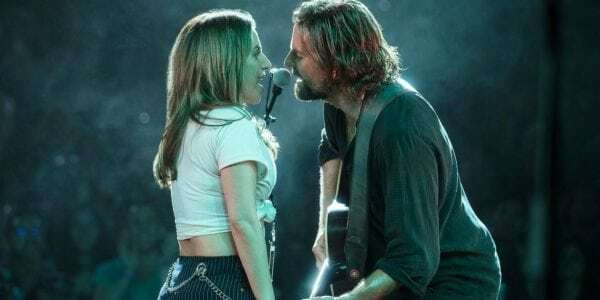 A Star is Born thoughtfully presents addiction (it doesn’t help that Jackson also suffers from tinnitus, only encouraging him to occasionally dive back into his bad habits as a form of release) and makes the most of Lady Gaga’s musical brilliance alongside her equally impressive acting chops (apparently, there’s nothing she can’t do) to create a romance that goes beyond the cliché of two incredibly attractive people falling for one another. Make no mistake about it, while Jackson does see Ally as a mental savior of sorts, he’s selfless and wants what’s best for her career and life. Those aspects only further complicate a journey replete with beautiful songs and genuine love. 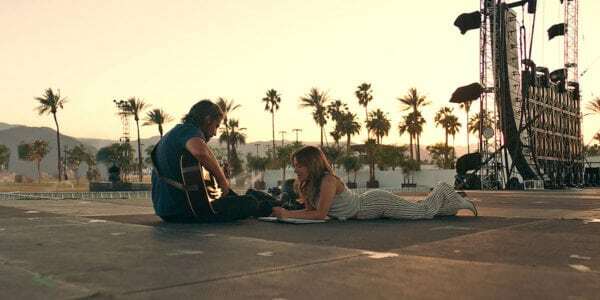 Bradley Cooper and Lady Gaga are irresistibly charming together, consistently bringing out the best in each other, eliciting palpable trust both as on-screen characters and world-class talent comfortable in one another’s shoes. Nothing is faked, everything is remarkable.